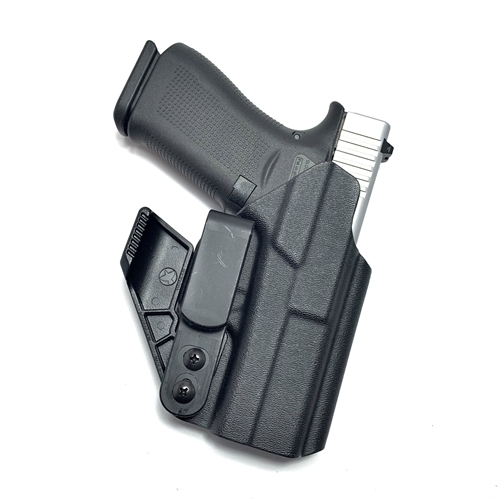 Our dedicated Appendix & Inside the Waistband (IWB / AIWB) concealment system. 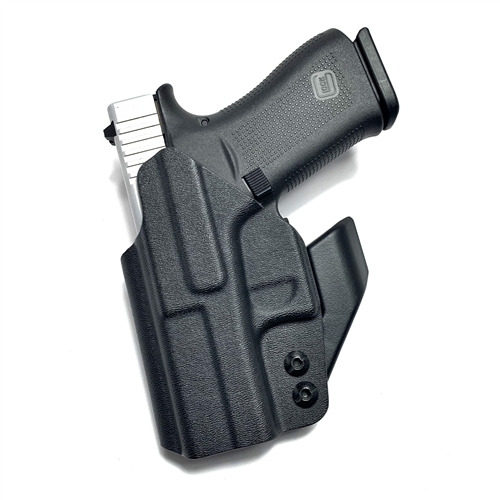 It's fully Ambidextrous and will fit any shooter, in any IWB configuration. It's also exceptionally light, comfortable, and minimalistic making it the perfect compliment to your concealed carry weapon. Fits Glock 43X & Glock 48. Also fits legacy Glock 43 models. Fully Ambidextrous with Ambidextrous Controls. Minimalistic Design with Zero added Bulk. RMR Cut & Tall Sight Channel which will accept raised, suppressor sights. 1.50" & 1.75" Clip(s) included for a solid fit. 1 Clip Attachment affords an easy on...easy off design. 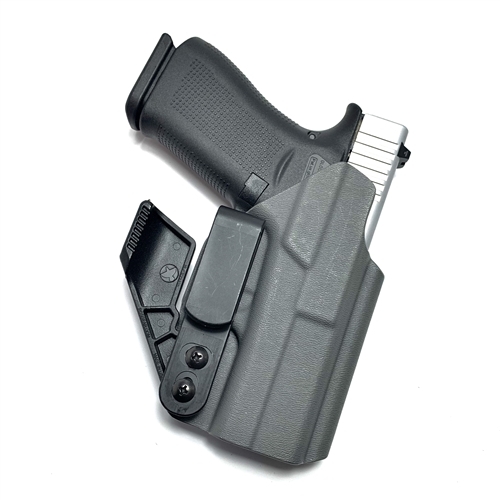 Tuckable, Cantable Clip for deeper concealment.